Rich, oily colour pastels for children and grownups! Fab crayons in a fab retro box. 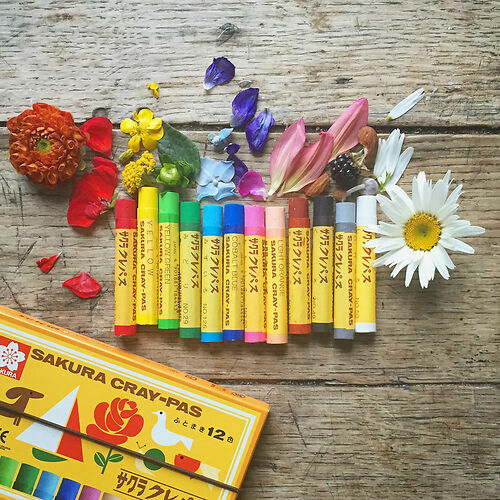 12 oil pastels in beautiful rich colours - and they teach you the Japanese hiragana for each colour! Show them to Japanese people of a certain age and they all say the same thing: natsukashii!